Armed with a brace of Valtras, we find out what the firm’s latest A Series is capable of. James Rickard takes to the wheel of the Finnish-built machines. 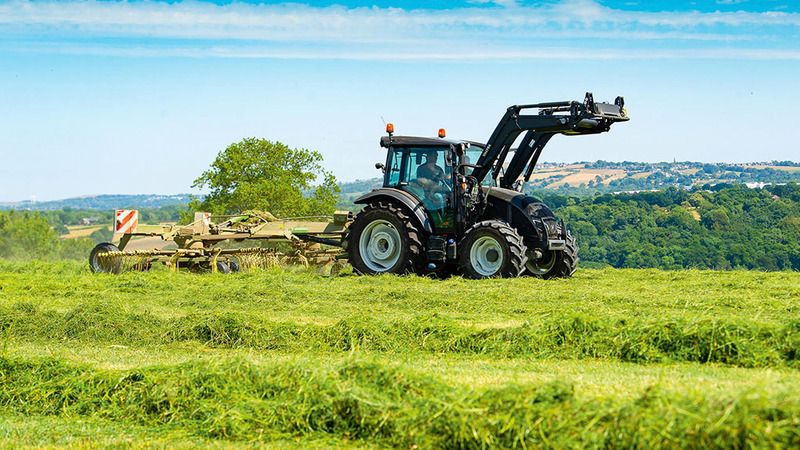 A variety of silaging duties revealed the capabilities of Valtra's new A Series tractors. 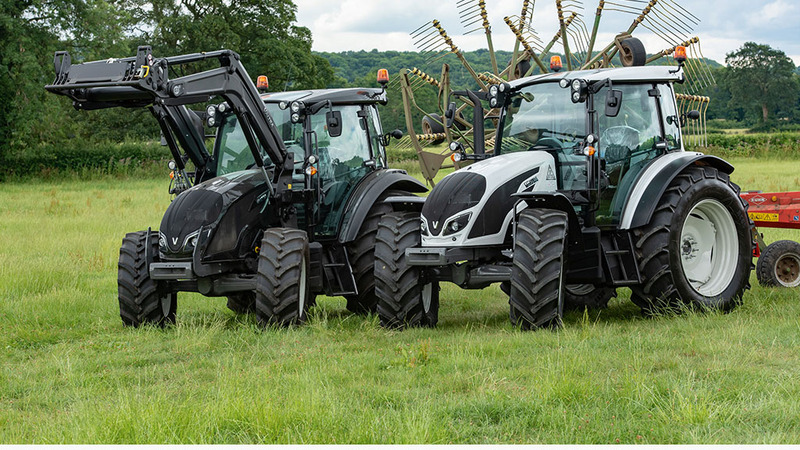 Reworking the lower end of its tractor range, Valtra has been busy bringing up to date its smallest A Series offering. Boasting seven models, three chassis sizes and two engine capacities, ranging from 75hp to 130hp, the new range is certainly all encompassing. 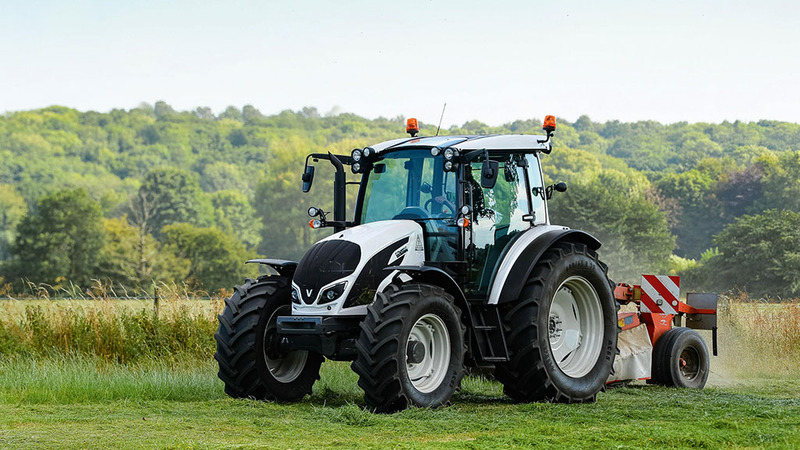 It is also the last of Valtra’s tractors to get its ‘fourth generation’ treatment, bringing with it new family styling, cab, engines and gearboxes – effectively a completely new tractor. 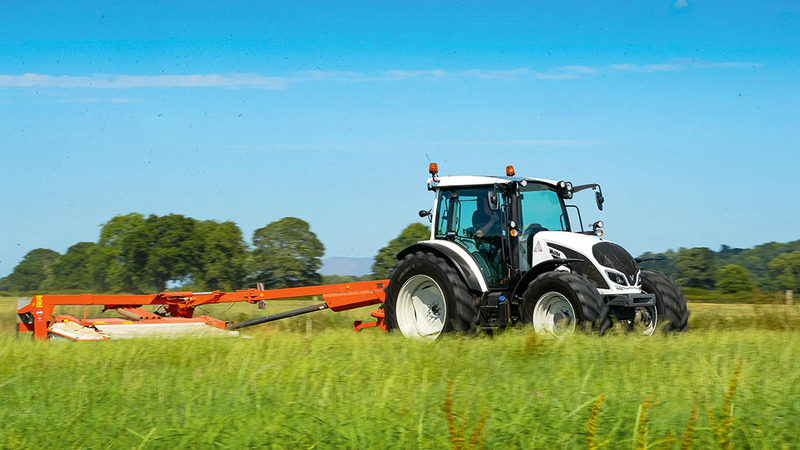 Keeping things in the Agco family, much of the A4 Series’ underpinnings are shared with Massey Ferguson’s ‘Global’ tractor series including engines and gearboxes. However, various operational differences, and Valtra’s striking design detail do set the two brands apart. Valtra versions are also assembled in Finland, rather than Beauvais, France. This makes the tractors eligible to run through Valtra’s Unlimited Studio, should the customer require something not on the peg. Unlike larger Valtras which can be specified with up to one of four spec levels, all A4 Series models get one standard spec, Hi-Tech. Intended to be simple steeds with ease of operation, electronics are kept to a minimum with the A4, though through clever design it is not short of creature comforts nor convenience. However, if more specification is required, the A4 Series generously overlaps with the larger N4s from about 100 to 135hp. As such, the old three-cylinder N models have now been phased out. To get a good flavour of the range, we tried a model from either end of the A4 Series spectrum; an A84 equipped with a loader, and the largest in the range, the A134. Keeping things simple, all A Series models share the same 12 by 12 synchromesh gearbox albeit slightly beefed up for the more powerful models. 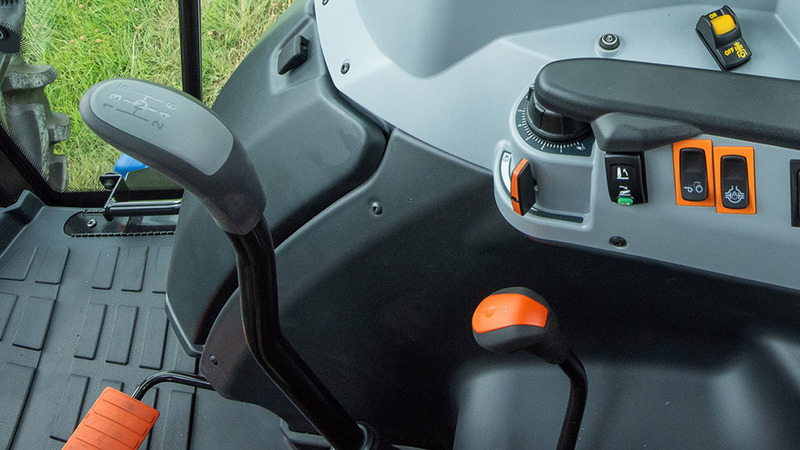 Power shuttles are also standard for pedal-less direction changes, and the main gearstick incorporates a de-clutch button. The transmission is made up of two ranges with six gears in each – that is it. Though it is quite possibly one of the slickest synchromesh gearboxes you could ever wish to use, the number of gears is a bit limited. While 12 is just about enough for the smaller A84, which we tasked with raking grass and various loader duties, the jump between gears for the more powerful A134 were clearly highlighted during mowing operations. More often than not, either one gear was just that touch too fast, or the gear down was slightly too slow. If possible, we would like to see a splitter added to the transmission, perhaps just for the top two A4 Series models. In this respect, our prayers have been partially answered with the introduction of a 16 by 16 semi-powershift transmission option for the two mid-chassis models; the 100hp A104 and the 110hp A114. This still leaves the two top models short on choice, though Valtra would argue if you want more transmission choice in this power bracket, the N Series would be the answer. As for drivability, the smoothness of the 12 by 12 gearbox coupled with the very usable de-clutch button makes it easy to get on with. Clutch modulation of the shuttle can also be adjusted via a simple rotary dial on the dash. For further convenience, the A Series incorporates a ‘brake to neutral’ function. 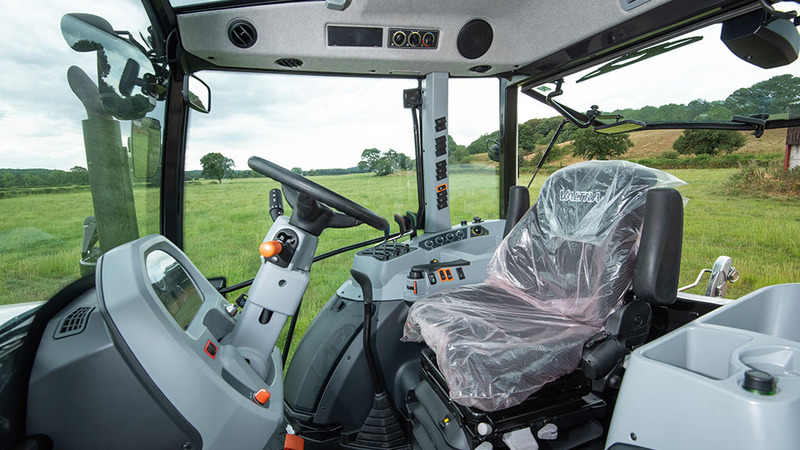 This allows you to bring the tractor to a stop without having to touch the clutch pedal – just press the brakes and de-clutching is done automatically. It is a feature well suited to the likes of loader operations, and round baling too. Unfortunately, at present this is a feature which cannot be turned off – not ideal for descending hills. However, we are told there is a software update on the way which will allow this. There is the option of a creeper ‘box on all A-Series models which gives a further 12 gears; 24 by 24. Fitted to our A134, it is electrically activated, as is PTO speed selection. Creeper is mechanically engaged on the A84. Apart from power, it was engine characteristics which really set our two test subjects apart. While the four-cylinder in the A134 was keen to get on with plenty of throttle response, the A84’s three-cylinder by comparison was a lot more lethargic in its efforts to reach the desired engine speed. The smaller motor is also a lot more vocal than its smoother-running for-pot stablemate, evident by a slightly noisier cab environment. This said, both engines’ power and torque levels are impressive, not shying away from any of the tasks we matched them with. The A134 stood out in particular, with its relatively small stature and eager motor, it truly is a pocket rocket to be reckoned with. If carrying out stationary work, such as slurry pumping, A Series models come with a handy feature called Control Stop. Designed to give piece of mind, when activated it monitors certain engine parameters. If one or more of these parameters, such as engine temperature stray out of tolerance, it will shut the tractor down. For emissions control, all A Series tractors meet Stage 4 emission standards via selective catalytic reduction and diesel exhaust fluid (AdBlue) only. However, the AdBlue tank is on the right hand side of the tractor, opposite to the diesel tank which takes some of the convenience away from daily maintenance. 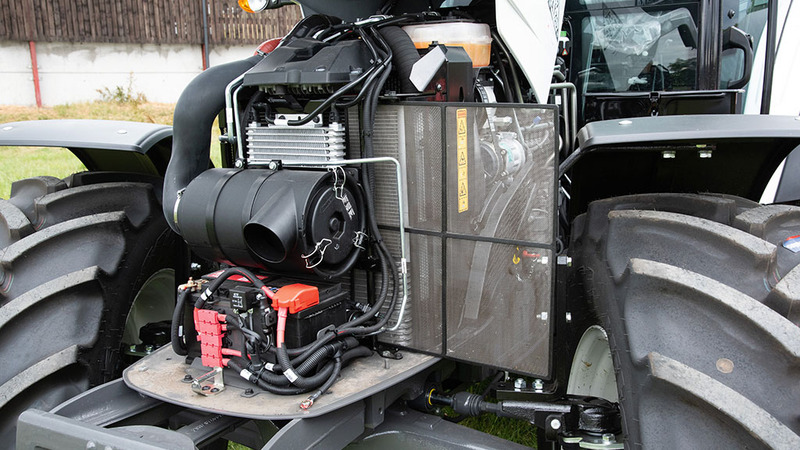 But while packaging is always a compromise on tractors of this size, the firm has done a good job of battery and air cleaner positioning which are both situated at the front of the engine bay for easy access. Taking with the other hand though, this means radiator access is limited with no fold out elements, only a pull out screens. All A Series models share the same six-post cab frame. Overall layout is very good and fairly self-explanatory, and it affords plenty of room to stretch out, unlike many in this class. Much of the latter comes from the A Series’ forestry pedigree and the ability to swivel its seat 180 degrees. Even passengers a well catered for, with an ample sized seat which folds away neatly. Views are good all round and rear opening quarter windows offer the chance to let some fresh air in. 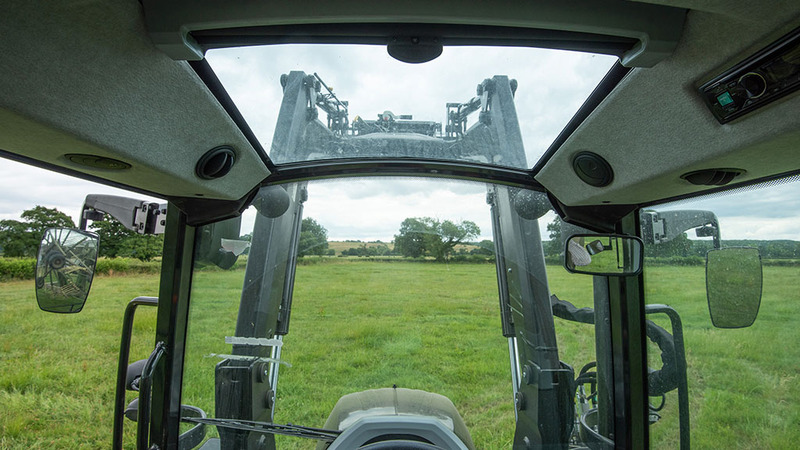 A transparent roof, provides excellent sightlines to a loader, aided by a skinny cross member – certainly one of the best on the market. Control-wise, its right hand console is practically minimalist in appearance, giving you everything you need, but no more. A design highlight is the cluster of controls which sees throttle, linkage, 4WD/diff all neatly placed at your fingertips. Even thought has been given to the main gearstick, which incorporates a de-clutch button. But rather than position the button on the side of the ‘stick like Massey Ferguson’s Global Series, which results in accidental de-clutches due to your knee hitting the button, Valtra has placed it on the back of the ‘stick. The gearstick is also that little bit taller, putting it closer to hand. A chunky set of spool levers tops off the simplistic control credentials. Secondary controls such as rear window wiper, front window de-mist and twin pump function can be found scattered up the right hand B-pillar – probably the ugliest bit of the layout, and not the clearest icons used in some cases. As for loader control on our A84, this was mechanical, but can be ordered with electric joystick control which gets integrated into the right hand armrest. 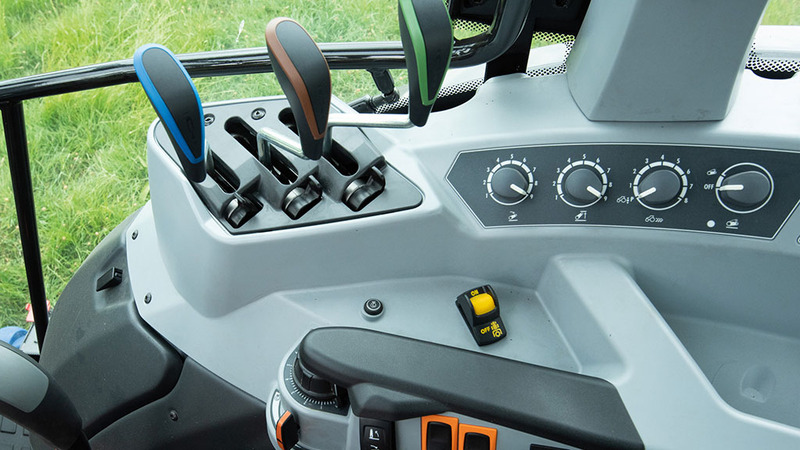 A relatively clear dash adorns the front of the cab, but its digital portion could do with being made clearer. We are told this is better on the two HiTech4 models. Accompanying the tractor’s reach and rake adjustable steering column – the latter easily adjustable via a foot pedal, is a chunky left hand shuttle lever which also incorporates a park position. This is backed up by a regular handbrake. Hydraulic pump capacity on the A84 is a decent 65l/min, offering swift loader actions. 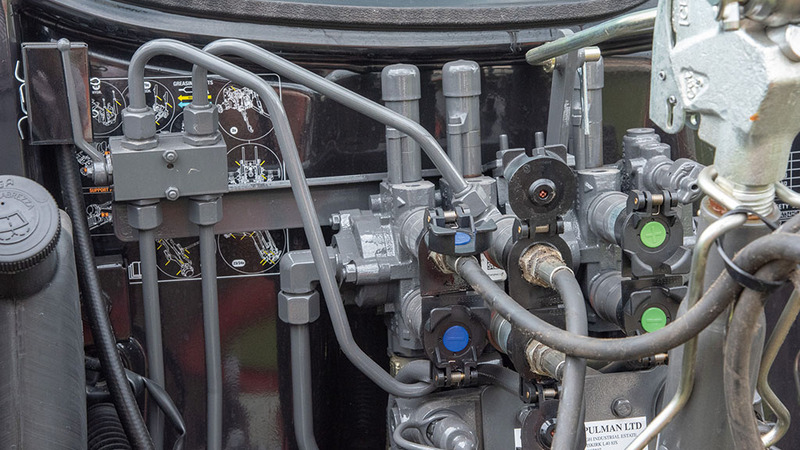 As standard, the A134 is equipped with a 57l/min pump, or, as in our case, can be fitted with Valtra’s twin pump option which when engaged sees a massive 98l/min mustered for hydraulic duties. 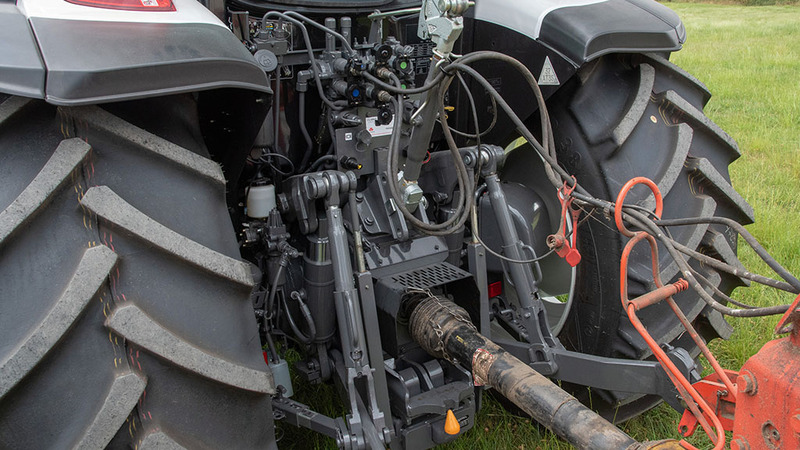 This will automatically disengage when the rear linkage is used or when the tractor exceeds 30kph. Up to three double acting spools can be specified on the both tractors, and flow rate of one spool can be altered mechanically via a tap. Unlike the larger Ns and the Ts, As use a shared oil reservoir for the hydraulics and transmission. It is no bad thing, but you do not get that piece of mind which separate tanks offer. However, as for transmission oil level checks, these can simply be done via a sight glass at the rear of the tractor. 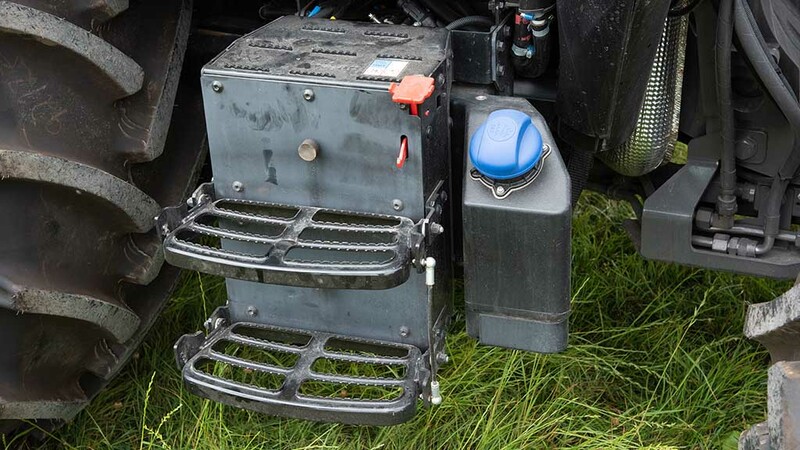 Push back hitches are also optional, which come with a diverter valve for hitch extension – a tidy solution which saves swapping oil pipes, and it can be reached from the cab. While rear castings and lift rams are beefier on the larger A134, overall layouts at the back are similar. This includes the standard use of pin-adjustable stabilisers (automatic versions can be specified as an option), bolt-on PTO stubs and hydraulic couplings biased to the left. Not wanting to get too giddy with the specification, none of the A4 Series models can be specified with front axle specification. However, if you desire a little extra comfort, the two new HiTech4 models can have cab suspension fitted. As you would imaging, the front axle on the larger A134 is beefier than the A84, and both tractors get friction differential locks in the front axle – kind of like a limited slip-diff. There is the option a hydraulic locking differential. If anything, highlighted by the loader work on the A84, steering could do with being a touch lighter. On the plus side, both of our test subjects had the ability to turn on a six-pence, ideal for confined yard work and keeping it agile in the field. We are really struggling to find much fault with this tractor series from Valtra. Smart, simple, well laid out, it is as easy to use as it is on the eye. 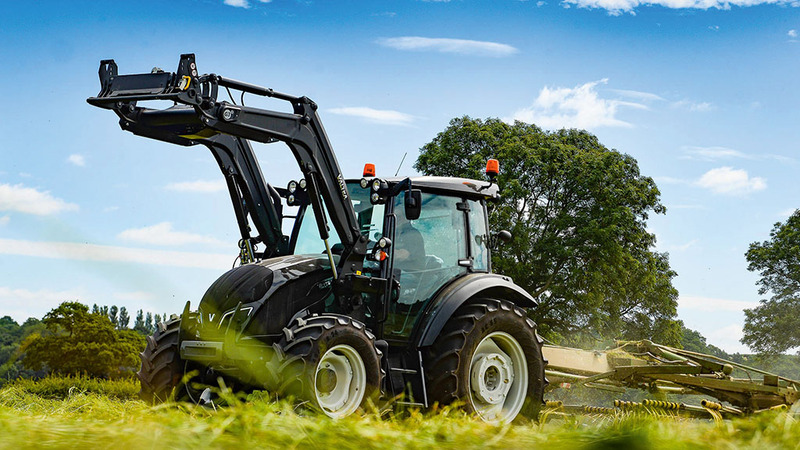 Compared to its competitors in this class, such as New Holland’s T5 Utility, Kubota’s M5, John Deere’s 5M/E, for example, the Valtra A easily holds its own in this strong company. Depending on model, they are the ideal yard tractor which can easily turn their hand to field duties. The A134 in particular is a fantastically simple 130hp tractor, which are getting few and far between these days. Granted, it might not offer enough spec for some users, but that is where the N Series takes over – a splitter would still be a good option though. Overall, this discerning stock person’s tractor series is well worth considering.